I couldn’t stop thinking about it. What an excellent question! I only wish I had been at that conference to join in on what I’m sure was an amazing conversation. The term “struggling readers” has always bothered me. I’ve never liked “struggling” coming before “readers” (or writers, or mathematicians, or whatever identity you are describing). When Pat and I titled our book, we wanted to make sure that “readers” was the first, and most important, identity mentioned – so we decided on “Supporting READERS who Struggle”, instead of “Supporting STRUGGLING Readers”. However, after reading this quote I couldn’t stop thinking about this. Is it the same thing? By labeling our readers “struggling” (either before or after labeling them as “readers”), are we implying that this is a fixed way of being? 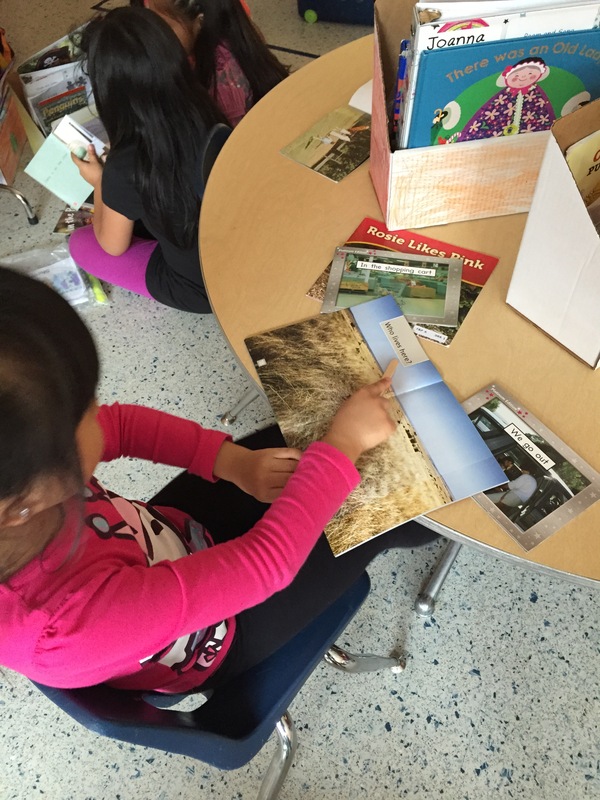 That they aren’t readers who are growing and learning – they are readers who are struggling? But is “struggling” a bad word? Can struggling be a sign of a growth mindset? I read an article a few months ago about having and nurturing a growth mindset, where the authors question whether “struggling” might be a good thing. “That struggling means you’re committed to something and are willing to work hard. Parents around the dinner table and teachers in the classroom should ask, ‘Who had a fabulous struggle today? '” I love this. “A fabulous struggle.” I know that for myself, some of my “fabulous struggles”, like completing a 108 mile trail run in the mountains or finishing graduate school left me with a huge sense of accomplishment, pride and joy. It wasn’t easy. I struggled. A lot. And I had a lot of help and support. But it was worth it. Learning to read isn’t always easy. It can be a struggle for some children. But what if we changed our conversation about what “struggling” means, and instead, teach children that struggling is a fabulous thing to do? That, if you are committed to something, and work really hard, you can feel that amazing sense of accomplishment and joy. I think the conversation we have with our students would be the easy part. None of my kindergarteners would tell you they are “struggling”. That word is never used, and they all see themselves as readers – whether they are reading pictures in books, the letters in their name, retelling a familiar book or reading all of the words in an Elephant and Piggie book. They are simply “readers”. It is the conversation with adults that we need to change. When we discuss children in our CT meetings and our progress monitoring meetings the word struggling comes up often. After all, it is our “struggling readers” that we are meeting about. But what if we framed our conversation about the “fabulous struggles” these kids are having and how we can support them and help them grow as readers and empower them? What if our conversations worked towards growth and empowerment and looked at effort, good teaching and moving our readers (and writers, mathematicians, etc…) towards growth and success? I’m looking forward to exploring this more. My school is focusing on the growth mindset as one of our professional learning strands for the upcoming school year. I think this question begs conversation, reflection and thought as we examine our language and our practice. I would love to hear your thoughts on “struggling readers” and a growth mindset. Please share!